Vertical Alliance Group, Inc., is proud to recognize the team of safety, transportation, school, and human resource specialists who have contributed to the making of our training materials. Since 2005, Mike Alston has served as the Vice President of Operations for Transportation Compliance Associates, Inc., where he is responsible for providing expert consulting and auditing services across the United States in all modes of transportation. 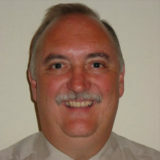 He creates customized compliance programs for organizations needing hazardous material regulatory training. Mike’s prior experience also includes being the Principal Engineer Hazardous Materials at Westinghouse Electric Company, serving as the Regional Transportation Safety Manager for Sunoco, Inc., and serving as the Regulatory Compliance Manager for Aristech Chemical Corp.
Timothy Barton spent almost 18 years of his career in the transportation industry as the Safety Supervisor at Southern Refrigerated Transport, Inc., in Texarkana, AR. During his tenure in this role, he regularly provided insights and content information for Vertical Alliance Group’s online training program. 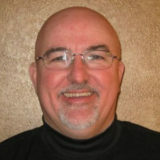 He now serves as the Safety Manager for TMC Transportation, Inc., in Des Moines, Iowa. Angie Buchanan joined Melton Truck Lines in Tulsa, Oklahoma in 1996 and has been serving as the Vice President of Safety and Human Resources since 2008. 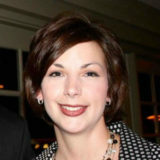 She holds a Master’s Degree in Business from Northeastern State University. 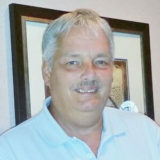 Vern Edwards is the Director of Safety at R+L Carriers Shared Services, LLC. With over 30 years’ experience in the transportation industry, Vern’s experience started with commercial driving and progressed to training and management. Over the years, he has served on steering committees and advisory groups from the initial CDL implementation to the CSA/SMS program. In his current role, Vern oversees 4 internal business partners with fleet safety management, training, regulatory compliance, and accident case management. 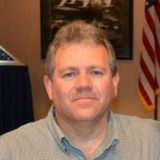 Allan Hicks is currently the Vice President of Safety at B.R. Williams Trucking, Inc., in Oxford, Alabama. During his tenure as safety director, B.R. Williams has received more than 50 safety awards from ATA, the Alabama Trucking Association, and the Truckload Carriers Association. In 2015, Allan was named the American Trucking Association Safety Director of the Year. Allan was awarded the Safety Professional of the Year award by the Alabama Trucking Association in 2001 and the 2014 Alabama Trucking Professional award. His company has also won the Liberty Mutual Insurance Excellence Award for Truck Safety for eight consecutive years. Dean Huth started his career behind the wheel as a driver in 1992 and worked his way to the front office, first as a Night Dispatcher, then to Compliance and Fleet Manager, Safety Manager and finally to Risk Manager. 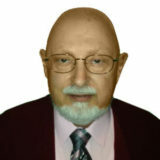 He retired in January 2011, and after a very brief time into his retirement, Dean became a guest speaker at multiple transportation events and functions. Vertical Alliance Group recognized the significance of Dean’s message and hired him to be a safety consultant on our team, a role he held until the summer of 2017. Since 1996, Cranford Graves has served as the Maintenance Supervisor at Bowie County Schools Transportation in New Boston, Texas. Additionally, he serves as the pastor for Antioch Christian Church in Hooks, Texas. Since 1990, Jim Norman has been the Director of Bowie County Schools Transportation in New Boston, Texas. He received the Texas Association for Pupil Transportation (TAPT) Honoree Award for 2013-14, the association’s highest honor. He has been an active member in TAPT for 23 years, serving on the Executive Committee in various positions, including president in 2006-07. As a master instructor, Jim has shared his knowledge with many people in all aspects of school transportation and safety. Throughout his career, Jim has made it his goal to inform state legislators in Austin about school bus safety, compartmentalization, seatbelts on buses and why school buses are built the way they are. 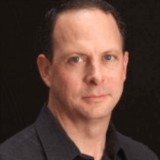 Dr. Larry Earl has served as the Medical Director for the National Academy of DOT Medical Examiners since April 2012, where he oversees the development of online training courses for the National Registry of Certified Medical Examiners. Additionally, he has served the urgent care and occupational health industry since 2011 as a consultant through his business Urgent Care Mentor. He started his career in medicine in 1984 as an urgent care staff physician, becoming Corporate Medical Director for Healthnet Medical Group in 1991 and then went on to hold various roles in the medical field including: President of MiniMedCare, Co-Founder of Atlantic Physicians Services, President of IMCC, Consultant for Concentra, and COO/CMO of ASAP Urgent Care. Since 1993, Dwayne Butler has owned and operated Red Carpet Employment Agency, Inc., in Texarkana, Arkansas. He is active in his local community, serving in various roles including as Board Member for the Chamber of Commerce, President of Tri-State SHRM, President of B.O.N.D., and Area 11 Governor for Twin Cities Toastmasters. He is a 1998 graduate of Leadership Texarkana. 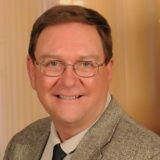 He is currently serving as a Board of Director for the Mid-South Region of the Better Business Bureau. He has been strategically instrumental in forming the local Texarkana BBB Advisory Board. 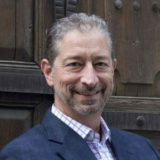 Ed Fosdick started his career in transportation in 2000 as the Director of Recruiting for Priority Transportation, a role he held for nearly seven years, before moving to Vice President of Operations at Priority Transportation. 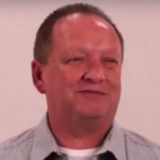 Since February 2011, Ed has served as the General Manager for Canadaigua Driving School, where he provides direction to driving instructors responsible for training Class D, B, and A students. Additionally, he currently serves as the Director of Recruiting for Leondard’s Express, a role he has held since April of 2010. Since 1998, Tim Scott has served as the President and CEO at National Driver Referral, LLC, where he has provided consulting, training, and recruiting for the transportation industry. 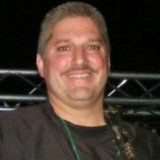 He specializes in providing entry level commercial driver training to new drivers in the transportation industry. 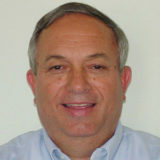 Eddie Garcia provides Spanish translations for Vertical Alliance Group’s training videos. 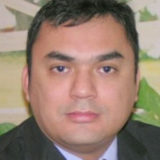 Since March 2001, Eddie has served as the Editor for Amigo Newspaper, where he oversees all aspects of the publication.